Teaser poster and supporting cast added for upcoming live-action film “Bittersweet” starring Haruna Kawaguchi & Kento Hayashi. Supporting cast members will include Yasushi Fuchikami, Hiyori Sakurada, Mackenyu, SU (‘RIP SLYME’), Hideo Nakano and Mako Ishino. In addition, release date for “Bittersweet” is now set for September 10, 2016 in Japan. Teaser trailer for live-action film “Cutie Honey: Tears” starring Mariya Nishiuchi. In addition, supporting cast members have been revealed for the upcoming film which includes Takahiro Miura, Sousuke Takaoka, Tasuku Nagase & Ren Imai. For Takahiro Miura he will play Seiji Hayami. His character was born from the lower floors, but now lives in the upper floors and works as a journalist. Sousuke Takaoka will play Kazuhito Uraki. His character is a resistance leader of the lower floors. He lost his wife and child due to an infectious disease caused by polluted rain. Tasuku Nagase will play Ryuta Kimura and Ren Imai will play Yukiko Kiyose. Both of their characters are members of the resistance. Lastly, release date for “Cutie Honey: Tears” is now set for October 1, 2016 in Japan. 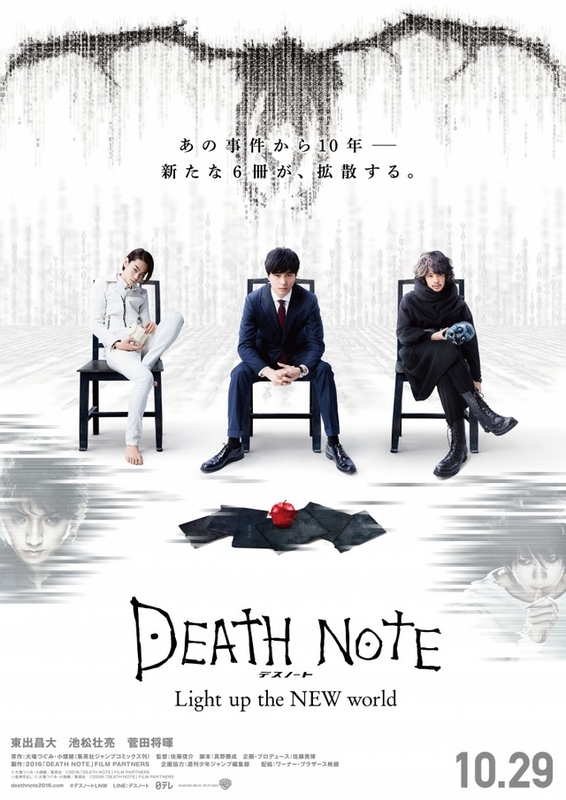 Teaser #2 added for upcoming live-action film “Death Note: Light Up The New World” starring Masahiro Higashide, Sosuke Ikematsu, Masaki Suda, Erika Toda & Rina Kawaei. Teaser #2 is the first time footage from upcoming film is shown. “Death Note: Light Up The New World” is scheduled for released October 29, 2016 in Japan. Tadayoshi Okura (Kanjani Eight) & Yuko Oshima are cast in upcoming suspense film “Shippu Rondo” starring Hiroshi Abe. Movie is “Shippu Rondo” is base on the novel of same name by Keigo Higashino and directed by Teruyuki Yoshida (“Japanese Salaryman NEO“). The film revolves around a scientist tasked to retrieve a stolen biological weapon. In the film, Tadayoshi Okura will play Shohei Nezu. 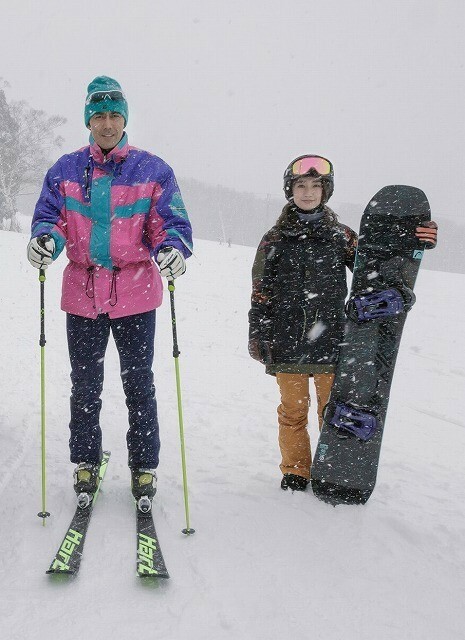 His character is a patrolman at a ski resort in Nozawa Onsen. Former AKB48 member Yuko Oshima will play Chiaki Seri. Her character is a snowboarder and hopes to compete in the Olympics. Also cast in supporting roles are Tsuyoshi Muro, Keiko Horiuchi, Shigeyuki Totsugi, Tatsuomi Hamada, Jun Shison, Toru Nomaguchi, Yumi Asou, Katsuhisa Namase and Akira Emoto. “Shippu Rondo” will be released November 26, 2016 in Japan. Mirai Shida & Ryo Ryusei are cast in upcoming movie “Nakimushi Pierrot no Kekkonshiki.” Movie is based on the non-fiction novel “Nakimushi Pierrot no Kekkonshiki” by Miyuki Mochizuki and directed by Osamu Minorikawa (“Sue, Mai and Sawa: Righting the Girl Ship“). Actress Yuko Araki is also cast in a supporting role in the film. In movie “Nakimushi Pierrot no Kekkonshiki,” Mirai Shida plays budding pierrot performer Kanami. Her character aspires to make everyone laugh and smile. She then meets Yosuke (Ryo Ryusei) who often forgets to smile. Eventually the two decide to get married, but Yosuke collapses the day before their marriage. “Nakimushi Pierrot no Kekkonshiki” will be released September 24, 2016. 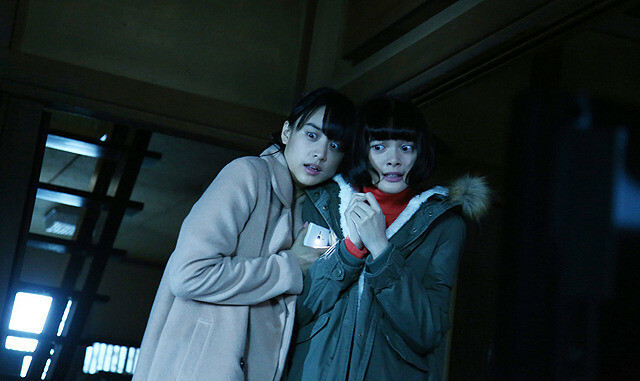 Main trailer added for upcoming horror film “Sadako vs Kayako” starring Mizuki Yamamoto, Tina Tamashiro & Masanobu Ando. The film pits legendary horror characters “Sadako” from the “Ring” horror films against “Kayako” from the “Ju-on” horror films. “Sadako vs Kayako” is scheduled for release June 18, 2016 in Japan. Main trailer and poster added for upcoming film “Natsumi’s Firefly” starring Kasumi Arimura & Asuka Kudo. Movie is based on novel “Natsumi no Hotaru” by Akio Morisawa (“Cape Nostalgia“) and directed by Ryuichi Hiroki (“Kabukicho Love Hotel“). “Natsumi’s Firefly” opens June 11, 2016 in Japan. Actress Mirai Shida is cast in upcoming live-action film “Yell For The Blue Sky” starring Tao Tsuchiya, Ryoma Takeuchi & Shono Hayama. In the film “Yell For The Blue Sky,” Mirai Shida plays Yuka Mori. 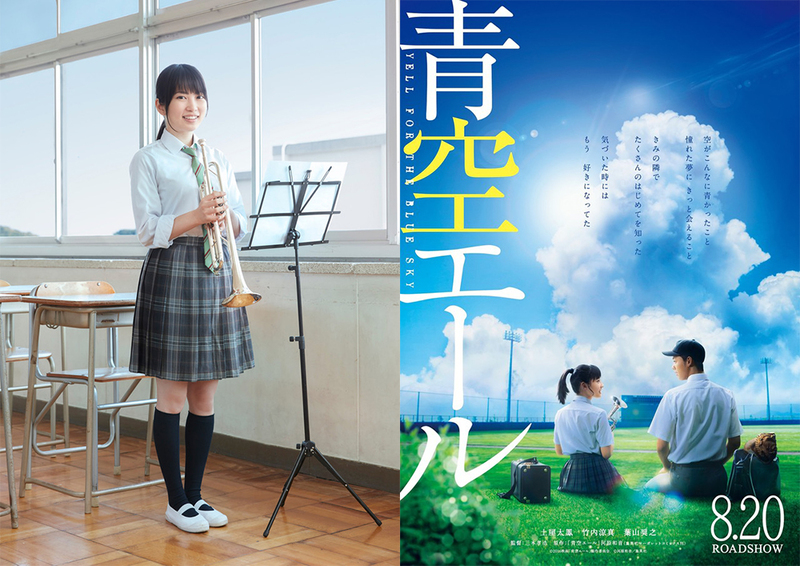 Her character is a senior brass band member of Tsubasa (Tao Tsuchiya). She plays the trumpet as does Tsubasa. Yuka instructs Tsubasa sometimes strictly and sometimes smoothly. “Yell For The Blue Sky” opens August 20, 2016 in Japan. “Death Note: Light Up The New World” opens October 29, 2016 in Japan. “The Match Girl” will be released May 28, 2016 in Japan.